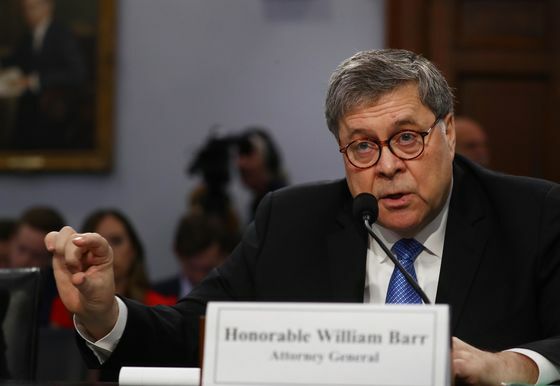 (Bloomberg) -- Attorney General William Barr defended the Trump administration’s renewed assault in the courts against Obamacare, scoffing at criticism from Democrats. The Justice Department shifted its stance last month, siding with opponents of the Affordable Care Act who argue that it’s unconstitutional and should be scrapped entirely after arguing last year that only parts of the 2010 law should be struck down. “Millions of American who currently receive health insurance coverage under the law are at risk of losing that coverage," Cartwright of Pennsylvania told Barr. President Donald Trump has promised that a Republican substitute for the health-care law he campaigned against in 2016 would be voted on if he wins re-election in 2020. Democrats won control of the House last November in large part on promises to protect and expand the legislation that was a signature accomplishment of former President Barack Obama. But Barr declined to say whether he told Trump or Mick Mulvaney, the acting White House chief of staff, that he disagrees with striking down Obamacare.